-I work in television. 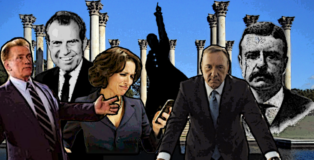 -I watch too much television. -I love Reese's cups - especially the holiday ones. -The first time I drank beer in a bar, Tristan Chan bought me Natural Light. True story. 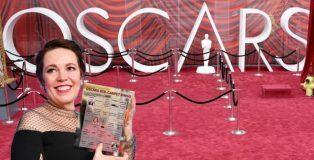 There’s plenty to watch at the 91st Academy Awards this Sunday. After controversy over old tweets, appointed Oscars host Kevin Hart dropped out, and the ceremony will not have a host. A Netflix film is nominated for Best Picture—NETFLIX! The guys who used to mail you DVDs might win Best Picture! And here at PorchDrinking, there’s a drinking game for the ceremony. Play along! All the other “National ___ Day” celebrations can go home. I don’t need National Hot Dog Day or National Maple Syrup Day or National Hug a Cat Day (that’s a real thing and it’s June 4, by the way). 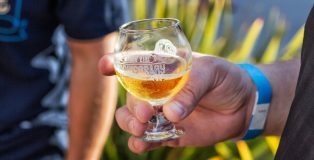 What I need – what we all need – is National IPA Day. 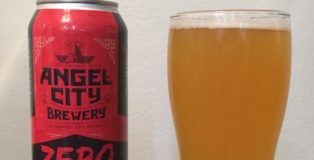 I plan on celebrating IPA Day with at least one of the two IPAs from Angel City Brewery, which is one of my favorite LA-based breweries and its IPAs are part of the reason. This weekend, the stars will be out in Los Angeles to celebrate the 90th Academy Awards. The ceremony starts on ABC at 8 p.m. Eastern (5 p.m. Pacific). But starting at 5 p.m. Eastern (2 p.m. Pacific), E! will bring you all the red carpet coverage you could possibly want – and then probably another hour or two after you’ve had your fill. This year’s red carpet coverage will be a bit different. Not just because the forecast in LA is calling for clouds and rain. There’s also the fact that E! has a couple scandals on its hands (Catt Sadler left the network over pay inequality, and Variety has reported on sexual misconduct allegations against red carpet host Ryan Seacrest.) And in the era of #TimesUp and #MeToo after the amazing reporting on Hollywood’s epidemic of sexual harassment and assault… there’a a lot more on people’s minds than who they’re wearing. You need Nik Heimach’s opinions. Nik Heimach is one of the most thoughtful critics and consumers of pop culture that I’ve ever met. You may have seen him on PorchDrinking before. But you don’t know the half of it. “The Last Jedi” comes out in a matter of hours. To celebrate, I’ve been re-watching the Star Wars movies. 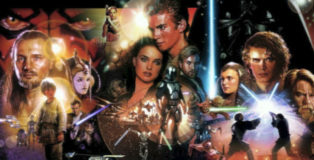 I watched the prequels and wrote about it here. No one asked me to do this, by the way. I just really really love Star Wars. 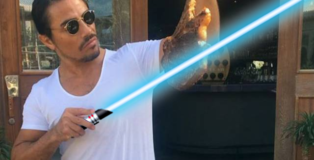 I’m really, really excited for the new Star Wars movie. If you added up the time I’ve spent watching Star Wars movies in my life, it’s probably in the days. That’s not to mention the time spent playing with toys, writing about Star Wars, playing video games and standing in line for the Star Wars rides at Disneyland. And every once in a while, I need to add some more time to that counter. In anticipation of “The Last Jedi,” I’m going back and re-watching ALL the Star Wars movies. In order. Yes, starting with the prequels trilogy. I’m a bad millennial. I don’t like avocado toast (or avocados in general). I pay for a monthly cable subscription. I’ve never once posted an Instagram Story. But of all the millennial crazes, the thing that makes me feel oldest is the ubiquity of memes. For geezers like me who don’t really “get” it… I’ve gleaned that memes are really just shared jokes on the internet, usually involving superimposing a caption onto a viral-worthy image or video. Here in Los Angeles, I tend to get a bit of season-envy this time of year. My friends in the Midwest and East Coast are bragging about sweater weather, while I’m still cranking the AC in my car and wearing flip-flops on the weekends. Having nearly 300 days of sunny weather is great, but sometimes I like a bit of cloudy weather. Angel City Brewery likes things a little cloudy, too. Hence their new Zero Flocs Given Hazy IPA. 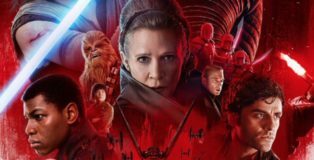 The trailer for Star Wars: The Last Jedi is out. The hype, speculation, ticket sales, merch shopping, theorizing and on-air promotion is only going to get more intense from here until the December 15 release date. I’m sure PorchDrinking will be bringing you plenty of The Last Jedi content – already I’ve got half a dozen ideas for things to write about – but for now, let’s dig into this trailer. If you’re anything like me, you’ve probably watched the trailer 10 or 20 times, looking for new bits of information about what will happen in Episode VIII. This week, it became official that Los Angeles will be the host city for the Summer Olympics in either 2024 or 2028. We’ll just have to figure out whether Paris or LA goes first; one way or another, the Olympics are coming to Southern California in the next 11 years. 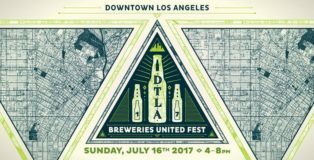 As we look ahead to people from all over the world coming together in LA to compete and peacefully celebrate unity, it’s a perfect week for LA’s brewers to unite at the second annual DTLA Breweries United festival (and it’s all for a good cause). 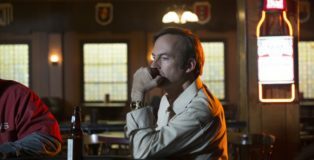 “Better Call Saul” is not just the most successful TV spin-off of all time (apologies to Frasier Crane), but the best drama currently on television. Fans of AMC’s “Breaking Bad” came to love Saul Goodman, the smug, sleazy, wise-cracking *criminal* lawyer. Saul got Walter White and Jesse Pinkman out of a few legal jams, and his way of bluntly telling the truth delivered some of the series’ best one-liners. Current events got you down? Feeling a bit burned out by the way the American government is working in 2017? Tired of too much of the real world hitting you in the face when you turn on the news? Understandable. Political beliefs aside, any American could understand feeling a bit overwhelmed by the ubiquitous coverage of our real-life American government. Lately, I’ve been adjusting my media diet a bit to include some levity, optimism, true scholarly meat, and a bit of full-fledged romanticism when it comes to the country. And so to help you out, I’ve put together a list of some stuff for you to watch, read, or listen to for relief. 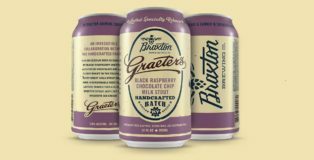 Graeter’s Ice Cream Beer is Coming! When I moved away from Cincinnati, my favorite homesickness remedy was a pint of Graeter’s black raspberry chip ice cream. Growing up, Graeter’s ice cream was quintessential Cincinnati fare; finding out it was available in my grocer’s freezer section was cause for celebration. 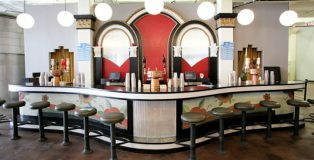 Now there’s a new reason to celebrate: a Graeter’s beer is coming. 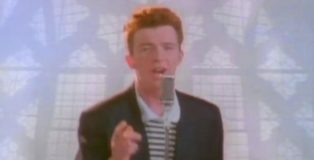 There’s a new name in the world of beer: Rick Astley. Round 3 of the battle for Greatest Christmas Movie of All Time saw the closest margin of victory yet – Home Alone took down Elf with less than a 1% margin. This brings us to the final 2 movies competing for the prize. They’re Christmas classics. They’re dearly beloved. And as I mentioned in the last round, they are back-to-back John Hughes masterpieces. Christmas Vacation, released in 1989, was written by John Hughes. Home Alone, released in 1990, was also written by John Hughes. His legacy is safe in the world of PorchDrinking; we’ve all decided that he wrote the two best Christmas movies ever. So now it’s down to TWO movies. Which will win in this battle for the title of the Greatest Christmas Movie of All Time? PorchDrinking’s tournament to determine the greatest Christmas movie of all time has gotten brutal. In Round 2, we saw four more beloved movies fall out of contention for the title. A moment of silence for the Grinch, Rudolph, Scrooged, and It’s a Wonderful Life. The poor Grinch lost by only two votes. So get involved in Round 3 below – your vote could make the difference! Round 3 begins now. 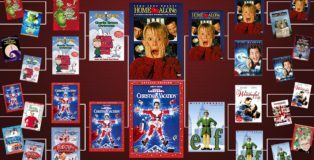 Which two movies will move on to compete in the finals to become the greatest Christmas movie ever? 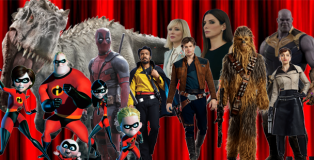 Round 1 of our Christmas movie tournament had some surprises. We saw some real blow-outs – Home Alone crushed its sequel, and Christmas Vacation trounced The Santa Clause. There were also some real nail-biters: Scrooged narrowly got past the Muppets, and Elf beat A Christmas Story by a single vote. (Jill Stein is raising funds to order a recount of that one). 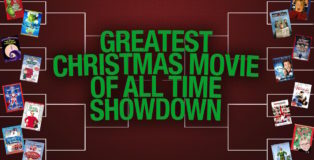 Round 2 begins now, with four match-ups between some of the greatest Christmas movies of all time. But there can only be one winner in this battle. 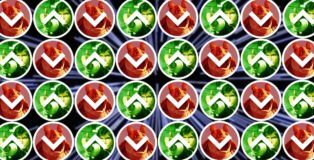 Review the battles below – every vote counts! After Star Wars: Episode III came out in 2005, consensus was that the series was done; there would be no more Star Wars movies. So I can understand anyone who is confused by all the hype around Rogue One: A Star Wars Story right now. 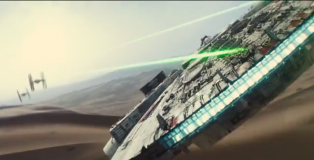 How can a franchise that was supposedly complete get so much buzz? Didn’t I just see promotion for a new Star Wars last year? How can there already be another one? And where are Rey and BB-8 on that poster? Never fear. 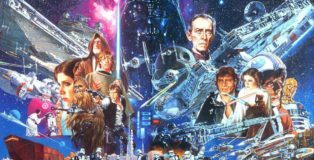 As the PorchDrinker most obsessed with the banal details of the Star Wars universe, I’m here to bring you up to lightspeed on why there’s so much hype for Rogue One right now. Confession: because this is the first stand-alone Star Wars anthology movie, it has had to EARN its hype, and thus I am starting at a baseline (0/5 on the hype index) with no expectations and slightly less enthusiasm than normal. But as more details have come out about Rogue One, my excitement has fluctuated – some for the better, some for the worse. Here is everything you need to know about Rogue One, and one fan’s running tally of how hype has waxed and waned over the last couple years of development.